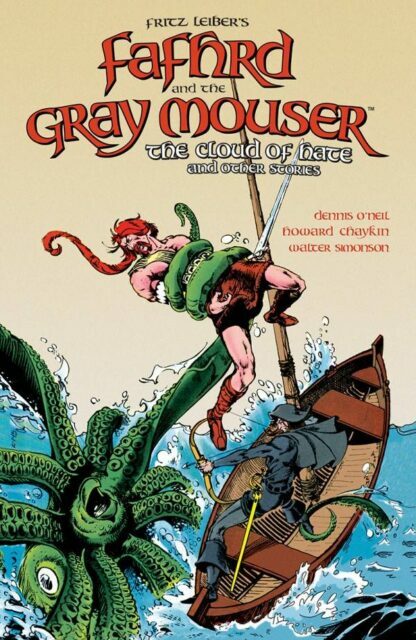 A decade ago, Dark Horse had plans to do something with Fafhrd and the Mouser — a comic series (probably along the lines of their Conan series), a movie — but those plans never came to fruition. They did at least reprint Chaykin and Mike Mignola’s Epic mini-series of the late 80s, Leiber’s seven books, and the Robin Wayne Bailey novel. Now, Dark Horse is collecting the DC Comics series, and it’ll look nice on my shelf alongside the collection of the Chaykin/Mignola series.